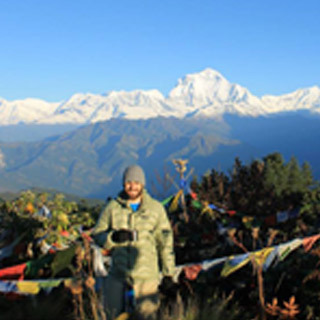 Annapurna Base Camp Trek is one of the most popular treks in Nepal. Located in the western foothills of the Annapurna Himalaya, it offers fantastic views of snow-capped high mountains with a landscape of terraced fields without the worries of altitude sickness. This is a good introductory route for a close encounter with the Himalaya within a short period of time. We explore the heart of the Annapurna as we trek into the Annapurna Base Camp, which is the most spectacular spot for a dramatic panoramic view of towering snow-capped peaks and close-up encounter with the glacier. The trail follows forested path while crossing through beautiful villages of different ethnic people.